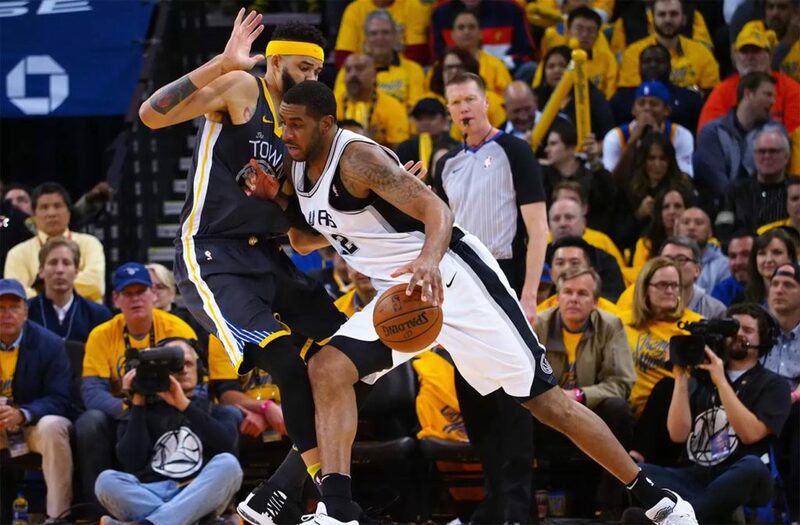 The Spurs took it to the Warriors in Game 2 and ultimately ran out of offensive fuel. They just didn’t have enough. When Draymond Green went to the bench with two fouls less than two minutes into the game, you knew the Spurs were going to have a chance. This was their opportunity. Without Draymond in there, the Warriors whole defensive plan was shot. But they did what they were supposed to do: kept it close until they could return to their regular rotations. LaMarcus Aldridge played well, Rudy Gay added more punch to the starting lineup, Patty Mills rose up as a secondary scorer. But when the Warriors put it on them, the Spurs simply couldn’t keep up with them offensively. There’s no one on the Spurs who scares the Warriors, so as long as the Warriors play their game for at least 3/4 of each contest, they should win in four, five at best. Remember when Klay would have slow starts and iffy playoff games? He had a slowish start to Game 2, but once he got going he was impossibly to stop. 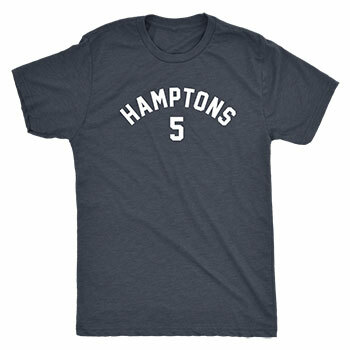 He hit several heartbreakers in the 2nd half that took the wind out of San Antonio’s sails. Maybe it’s the extra rest Klay got with the broken thumb? Those two weeks off or so must have given his legs a much needed rest because he looks a lot fresher and his jumper hasn’t been coming up short. The Warriors knew they’d have to pick up the slack collectively without Steph, but Klay’s really turned it up a notch — becoming Steph-like with his dagger deliveries. Some folks on Twitter were making a big deal about Andre staring at Manu after his nasty alley-oop dunk. Some thought it was disrespectful, but it appears there was a method to the madness. It seems Manu gave Andre a subtle but meaningful forearm nudge while he was in the air. It doesn’t seem like much, but it’s a savvy veteran playoff move from Ginóbili. It’s also a little dangerous, hence the reaction from Andre. This will be something to keep tabs on of course. Draymond kept his cool even though it was a frustrating questionable call — especially with the game’s overall physicality. Obviously Draymond can’t start accumulating flagrants or technicals, and he seems fully aware of this. However, flagrants are a bit more out of his control, as aggressive play or an accidental arm swing here or there can be arbitrarily classified as a flagrant. It’s not about keeping his cool with the refs, it’s about interpretation. Maybe they’ll rescind this one? He’s got two more freebies to go. The fourth one overall equals a one game suspension. Patty Mills had an impressive 21 points, but it seemed like a lot of that was due to Cook guarding him in the second half. Mills’ eyes must get huge when he sees someone his own size in front of him instead of 6’7” Klay Thompson or 6’6” Andre Iguodala or 6’7” Shaun Livingston. Though at 6’2” Cook is listed as 2” taller than Mills, he actually seemed smaller out there and Mills had no problem getting his shot off. The takeaway: I’m even more impressed by the coaching decision to start Iguodala. If Mills (or anyone else) goes off on Cook at the outset of either of the first two games, it’s a totally different series. Jenk Washington was able to catch the game at Oracle and said Steph looked pretty good pregame. During the broadcast, color commentator Reggie Miller also said Curry seemed to be moving and shooting well. 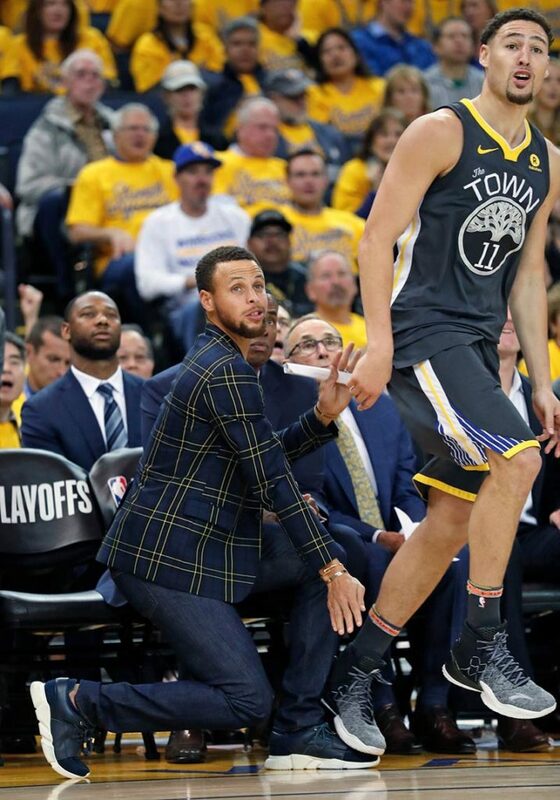 And from some of Steph’s sideline celebrations, he seemed to be quite spry and flexible. Of course, cheerleading drills are much different from the rigors and physicality of an NBA playoff game, so he’s definitely not ready yet, but all these signs are good ones. Looking forward to seeing how the Warriors respond on their first playoff road game of the year. In past playoffs, Game 3 has been their trap game — lack of focus, poor effort, blowout losses. 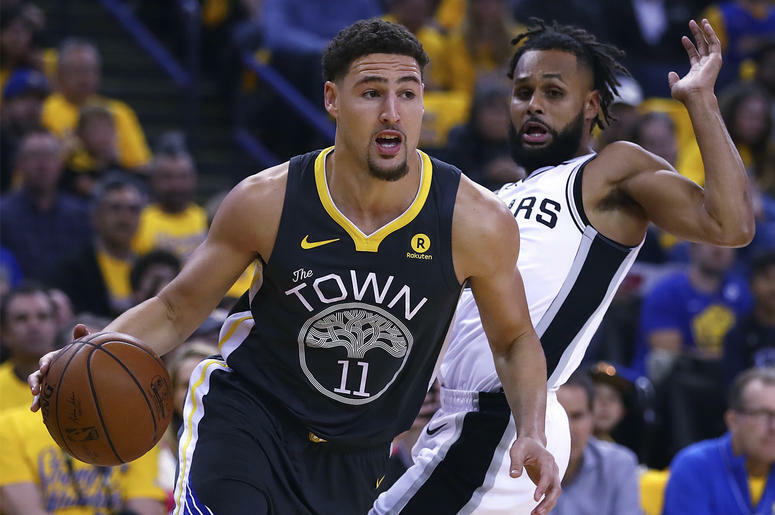 The Spurs are very different team at home, so let’s see if Draymond can stay sharp, if Javale can maintain his generally solid play, if Klay can keep draining clutch shot after clutch shot. I’m hoping that still not having Steph will keep the squad focused, knowing their margin of error continues to be thinner than usual.